The elections for the new parliament in Tunisia on 25 October brought unexpected changes to the configuration of the political power in the country. 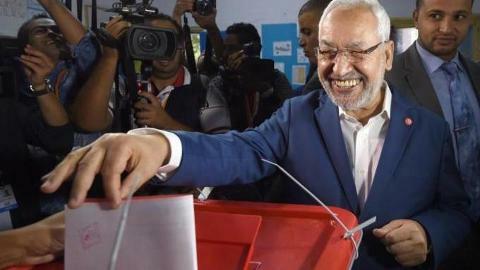 The victory of the secularist party Call of Tunisia, created only two and a half years ago, pushed the Islamist An-Nahda party, the favorite in the elections for the interim parliament in 2011, into second place. Call of Tunisia, with 85 seats in the parliament, received 40% of the votes. The Islamists lost almost a quarter of their electorate and have to be content with 69 seats in the 217 seat parliament. Local observers explain their decline by the disappointment of many Tunisians with An-Nahda’s rule in recent years. Their hopes for improvements have been replaced by mass discontent with the failing economy, price rises and unemployment, and a hitherto unknown phenomenon, the problem of security. It has arisen as a result of an upsurge in Salafism, the actions of extremists, complicit in assassination attempts against a number of politicians and attacks on security forces, particularly in the mountains of Tunisia on the border with Algeria. The newly formed Call of Tunisia came into being in the wake of the Arab Spring, when dozens of parties sprang up in Tunisia, adopting similar slogans for progress, development, universal democratic liberties, etc. The weak structure, disunity and at times fierce rivalry of these organizations left people bewildered and led to confusion during elections, which played into the hands of An-Nahda. The success of Call of Tunisia was chiefly inspired by its founder, the 87 year-old Beji Caid el Sebsi, a veteran of Tunisia’s ruling elite. During the rule of the first president of independent Tunisia, Habib Bourguiba, he headed a number of ministries and held the post of prime minister in the country. His creation gathered under one roof those Tunisians who for various reasons were dissatisfied with Islamist rule. 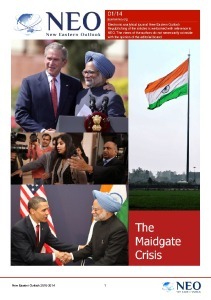 From secularist liberals, leftists, nationalists, progressives to policy-making staff, who had made up the core of the ruling party, which was disbanded after the revolution. A number of democratic organizations sided with Call of Tunisia during its ideological confrontation with An-Nahda. It received support from the influential General Labor Union and the Tunisian Employers Association. A huge part of the electorate obviously saw in the new party a hope for stability, a strengthening of the role of the state and of order against a background of the people’s concerns over the Islamization of the country, fears for security, especially in view of what was going on in neighboring Libya. After the elections, the political landscape in Tunisia acquired a clearer outline. In the opinion of many analysts, a growing polarization between the two blocks could be seen in society. But the Call of Tunisia party, which came first, does not have an absolute majority in the newly elected National Assembly. It cannot form a government on its own and will have to form a coalition with other parties. The media is currently full of predictions on the likely scenarios of such an alliance. It should be borne in mind that at the end of November this year the country will be holding elections for a new, permanent president, and the presidential race has already begun. The composition of Tunisian society is still similar to a mosaic, and strongly influenced by the traditional confessional consciousness of the population. Its divisions often run not only along economic, cultural and social lines, but are also geographical. An-Nahda received the votes of the majority of the population living in the south of the country: in the less developed, run-down areas of Tunisia. Call of Tunisia collected votes predominantly from those who live in the center and north of the country. They belong to the segment of society that shares secularist traditions established in the mid-twentieth century, following the country’s declaration of independence. Tunisia was the cradle of the Arab Spring, which began at the end of 2010, and has since made the world aware of the rise of the Islamist element in a number of countries: Egypt, Libya, Syria, etc. But the events in this North African state of 11 million people have unfolded with less blood-shed and with greater emphasis on compromise than in other parts of the region, albeit with unexpected twists and turns and with a great deal of feeling. 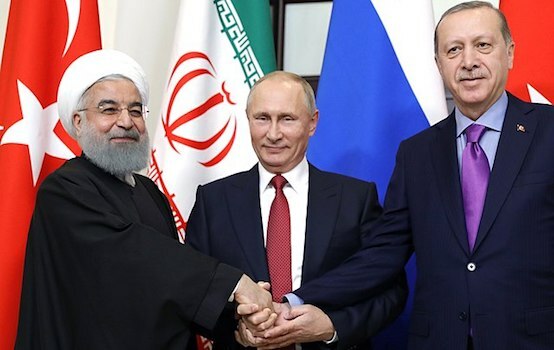 This contrasts favorably to the situation in a number of other countries in the Arab world, where the violence shows no signs of abating, especially those controlled by ISIS.